Apple's iPhone 3G will be encased in environmentally-friendly packaging according to a Dutch blog and translated by The Register. The report suggests that Apple has contracted Dutch company PaperFoam to create the insert which holds the iPhone. The insert would be 100% recyclable and made from natural resources, either potato starch or Tapioca starch. 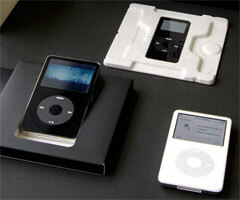 The company has been previously contracted by Apple to make foam inserts for the 5G iPod and second generation Nano. Apple has stepped up efforts to make its product packaging environmentally friendly over the years, primarily by reducing the packaging size as much as possible to reduce their footprint in landfills. More information regarding Apple's environmental policy is available on Apple's website.